For those of you who have GeoData for New York City and Long Island, you may have asked at some point about Westchester, Rockland, or other counties. Up until now, the information in those areas has been limited. That’s changed dramatically. 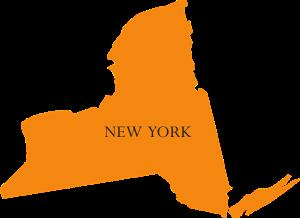 With our latest version of GeoData, we now have very detailed property data in upstate New York. To be clear, we’re calling upstate anything outside of Long Island and New York City – those of you living close to New York City may disagree and consider yourself downstate, and we understand. – Building details including square footage, style, and year built. – Commercial property details including square footage and rent rolls, where available. Of course, our trusted sales comparable search is also included with our upstate offering. If you’re an existing customer, give us a call and we’ll be happy to provide you access to the upstate areas that you need. If you haven’t yet tried GeoData and you do business in New York or New Jersey, now is a great time to do so. You can do so for up to 30 days, and if you’re not completely satisfied, you’ll receive your money back. Click here to try GeoData with a 30-day money back guarantee. Feel free to also schedule a demonstration of GeoData, and a representative will be happy to show you how GeoData can grow your real estate business.